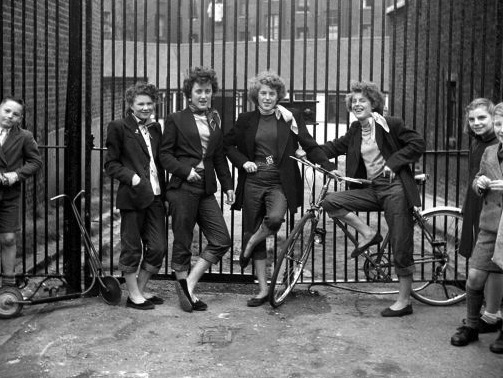 Who are the Teddy Girls? A RAD GANG OF LADIES IN 1950's BRITAIN WHO REJECTED SOCIETY'S EXPECTATIONS OF TRADITIONAL FEMALE ROLES. These working class ladies spent their time hanging in cafes, going to clubs, riding bikes around, breaking barriers in the fashion world and doing what they wanted in life. So yah, we are going to do just that! Bring a flask, your favourite ciggies and lets roll!